The head of the Imaginary Pterosaur was modeled after a fossil of a pterosaur skull discovered recently in China called Guidraco venator (Ghost dragon). A photo of my model was used as a cover illustration by the authors of the article about Guidraco in Wikipedia. Article about Guidraco in Wikipedia, illustrated with a photo from this blog. … and then take it apart! 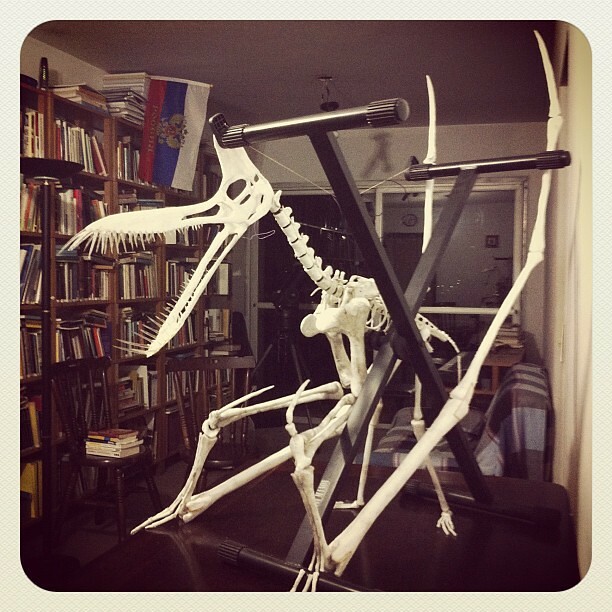 I finally assembled the pterosaur in a walking position. 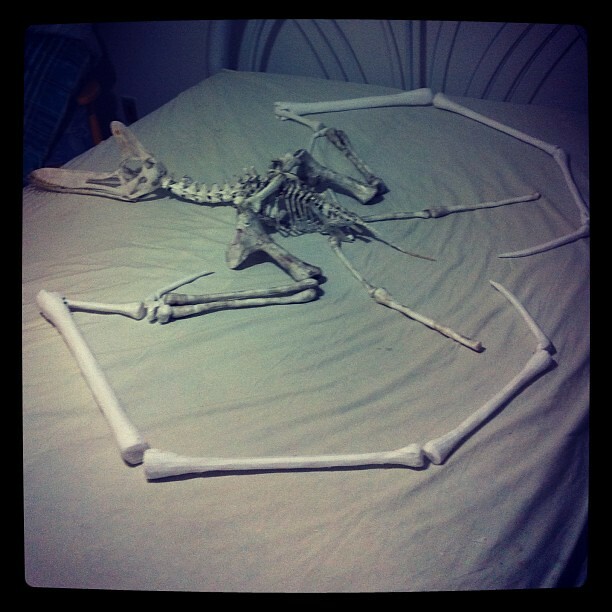 But the connections between the bones are not right. I still have to figure that out. I was able to mount them in place using a piano stand, some strings and some pins. 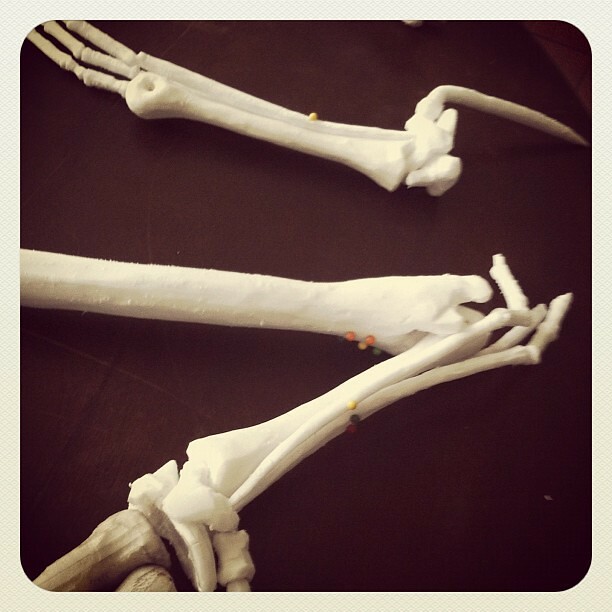 the ulna/radius to the hand. If I get this right, it should be possible to assemble the pterosaur in several positions: flying, sitting, walking. 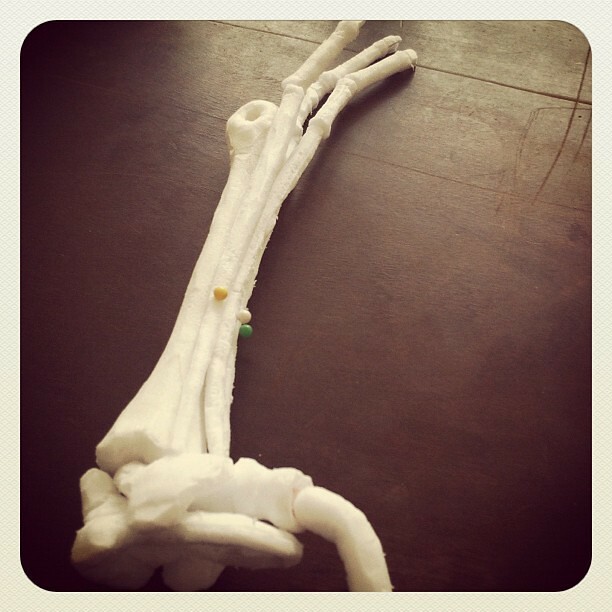 I might have to remake some bones for this, or throw away the scapula and coricoid, and make better ones. I need to find detailed pictures of these connections. 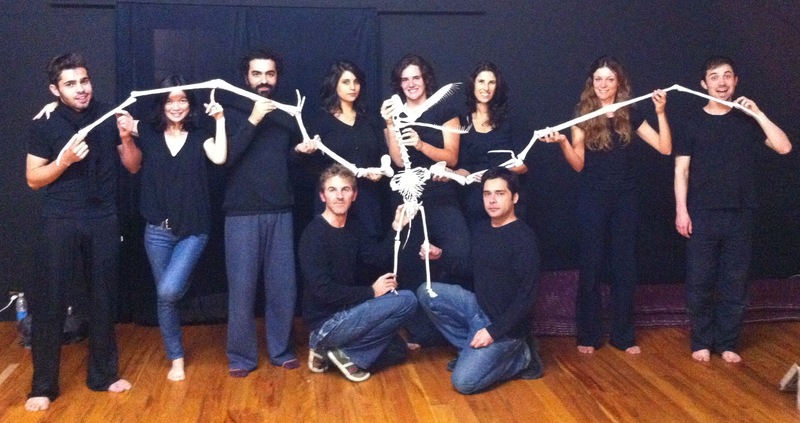 This is the Imaginary Pterosaur ‘assembled’ by the students of the Piollin Theater School. 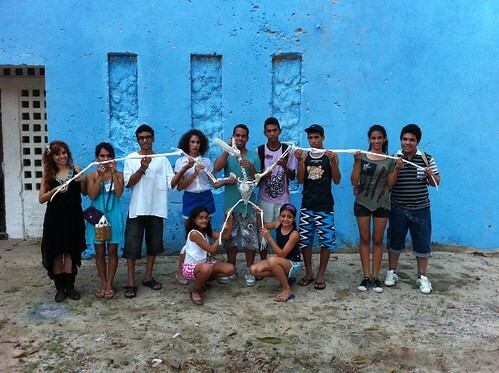 Piollin is a 30 year old theater group from northeastern Brazil. They have traveled all over the world and performed in several countries. In the city of João Pessoa, Paraíba, they have a very nice cultural center with theaters, where they research and devise their plays, a school, and spaces where they organize cultural events. It is located in the city of João Pessoa, Paraíba, Brazil. This picture was taken yesterday. 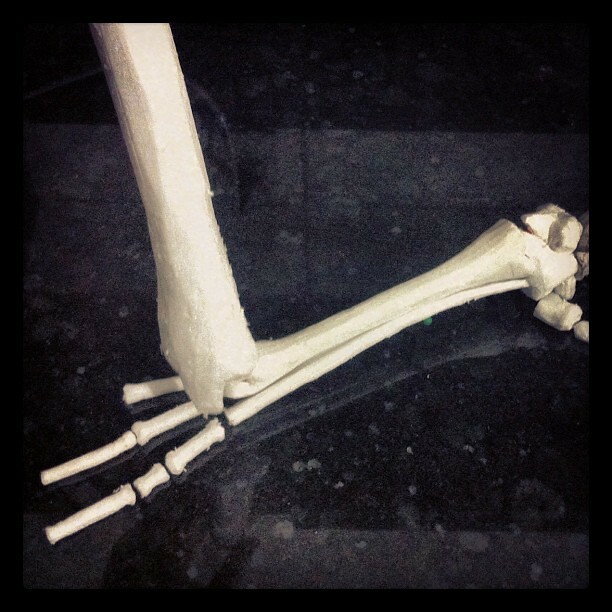 Tomorrow I will be back in São Paulo and will discover how to connect the bones. Now this project is almost finished. 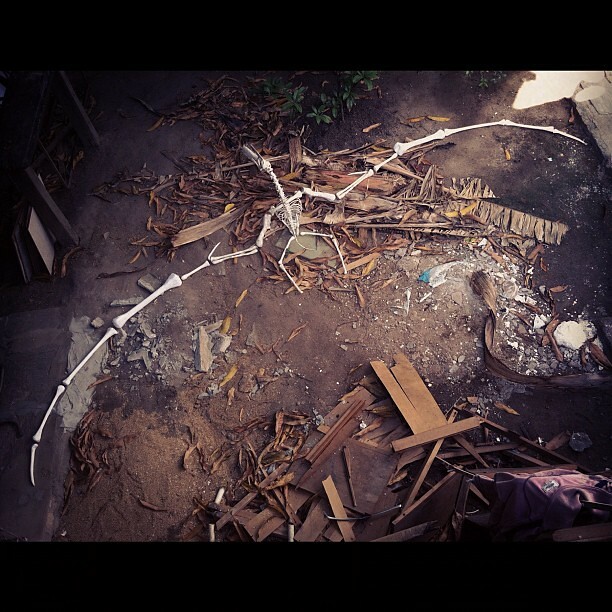 I have no idea what to do with this pterosaur now. Maybe I will hang it in my living room. If anyone has a better idea, I would love to hear about it. 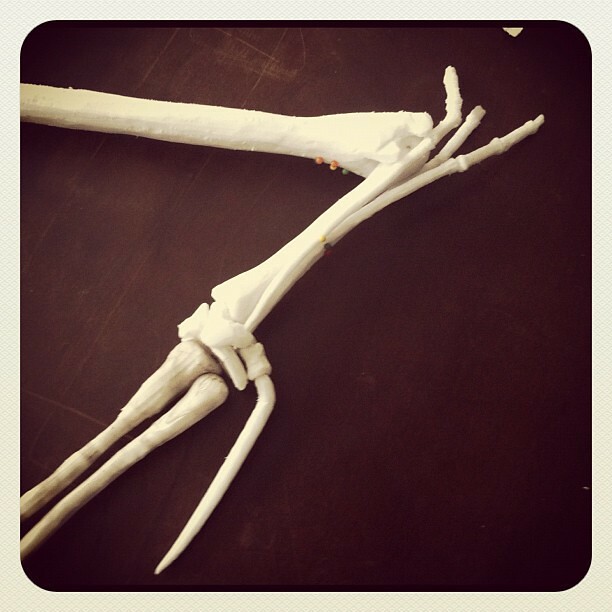 I have no time left here to make decent feet, but I decided to make some quickly because I want to photograph the whole pterosaur at a theater school tomorrow, so I made something that looks vaguely like feet. 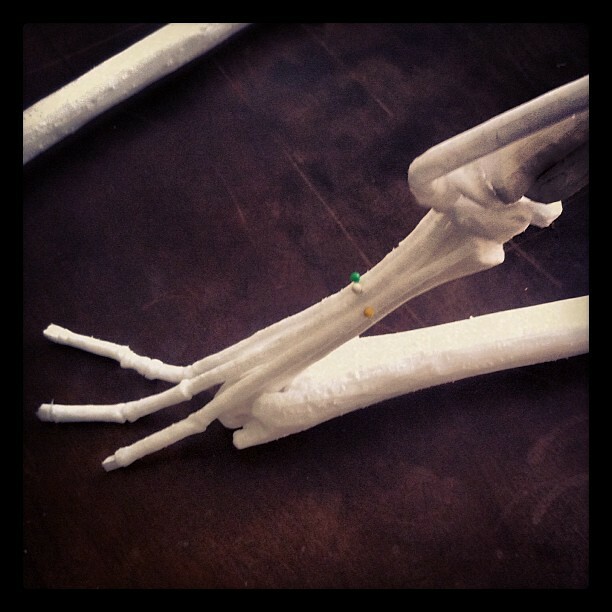 When I arrive back home, I will probably redo everything when I add the fingernails. 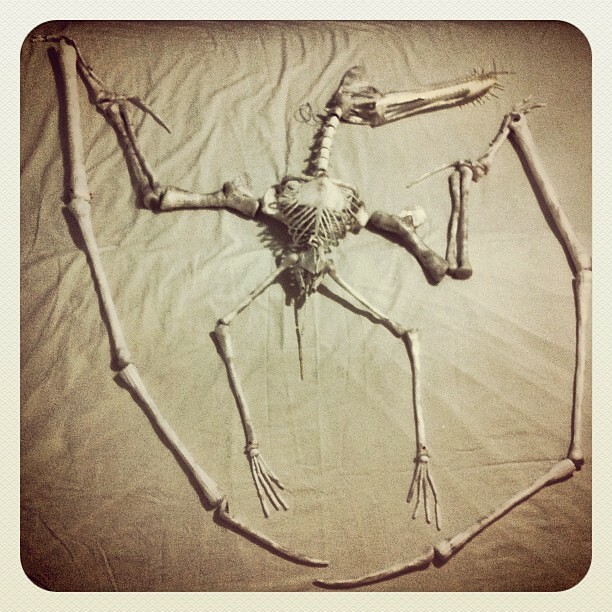 This is the pterosaur complete, with all the bones except: the fingernails (from hands and toes), and the fifth foot finger (which is kind of weird – I have to read a bit more about it). After the hands and feet, it is done! When I return I will just adjust some things, think about how to connect the bones and decide what to do with this overgrown creation. 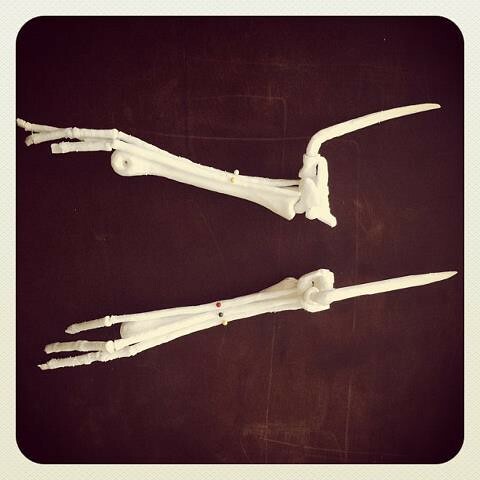 So here are several pictures of the hands, carpals, metacarpals, pteroid. Still no fingernails. I have to discover how to make the fingernails later. 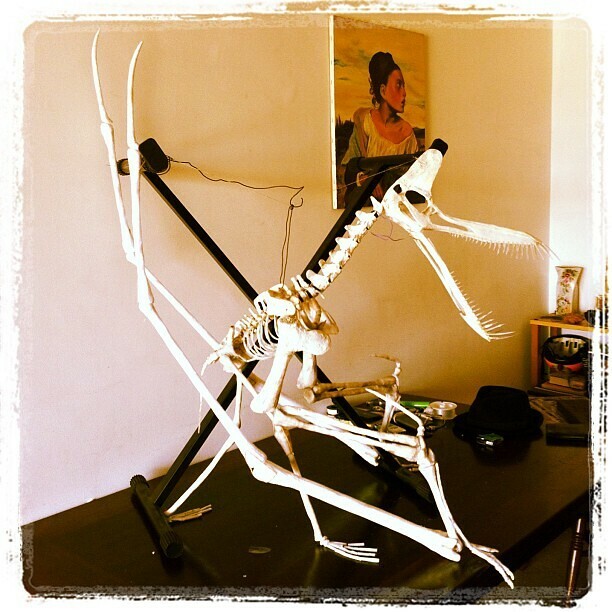 The pterosaur opens its wings! 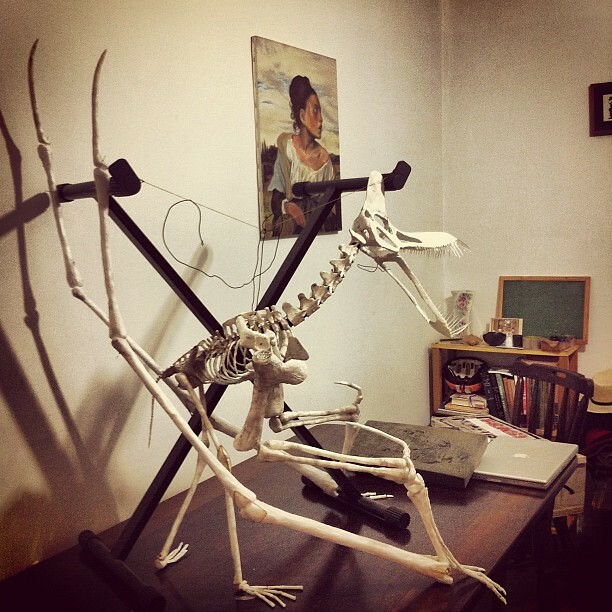 It didn’t fit in my mother’s house, so I found this place and decided to assemble the pterosaur (the bones are still not carved, and too big). Now it looks scary!